Unique cards and personalized designs will delight the bride and groom! Whether you're planning a wedding, organizing a festive bridal shower, announcing an engagement, or simply congratulating the happy couple on their special day, you're sure to find the perfect card today! 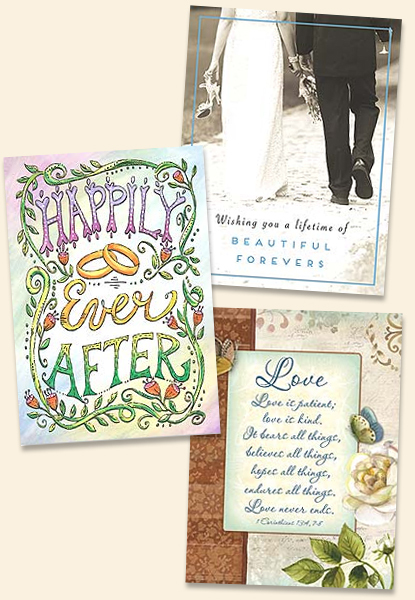 Find the perfect Wedding card, Announcement or Invitation here! Looking for the right words to add to your Wedding Card? Browse our suggestions for ideas!